Alejandro González Iñárritu’s (sorry, tocayo, you will always be González Iñárritu to me, and not G. Iñárritu) “The Revenant” is the type of physical, single-minded and ambitiously daring work that used to grace the silver screen before the movies went digital. It brings to mind such equally mad masterworks as Werner Herzog’s “Aguirre: The Wrath of God” (1972) and “Fitzcarraldo” (1982) and Francis Ford Coppola’s “Apocalypse Now” (1979), where the filmmakers faced, with grit, determination and obsession, the forces of Nature and the ire of producers, studio executives, cast and crew, and their own mental and physical health during their production. “The Revenant” represents a change of pace for a director whose work —“Birdman (or the Unexpected Virtue of Ignorance),” “Biutiful,” the overrated “Babel” and “28 Grams”— has been far more intimate in scope. “The Revenant” is a far grander undertaking, although in pitting its characters against the untamed American Rockies in the early part of the 19th Century, it shares with his opera prima, “Amores Perros,” an interest in exploring how characters are shaped by their environment. But while Mexico City played a supporting role in “Amores Perros,” Nature plays a lead role alongside Leonardo DiCaprio in “The Revenant.” Unlike Quentin Tarantino’s “The Hateful Eight” where it plays a more picturesque, postcard-perfect role (Look! Pretty pictures! ), Nature in Iñárritu’s film is a force to be reckoned with, at once beautiful and dangerous, a brand new world full of pleasant and unpleasant surprises. Shot in Alberta, Canada and in Argentina in natural light with the large format Alexa 65 digital camera and partly based on Michael Punke’s novel of the same name, “The Revenant” is the slightly fictionalized story of legendary frontiersman Hugh Glass (DiCaprio) who survived a bear mauling in the early 1800s and went on to pursue the two men who left him for dead. Iñárritu’s and Mark L. Smith’s script fleshes out his life by making him a widower —his wife, a Shawnee Indian, was killed in an Army attack— with a son, Hawk (Forrest Goodluck) who accompanies him in every expedition. As the movie opens, Glass’ camp comes under attack by a group of Native Americans in search of the kidnapped daughter of their leader. Forced to leave the furs they harvested behind, the survivors hop on their boat and escape down river, with the Native Americans following on land. Expedition leader Captain Andrew Leader’s (Domhnall Gleeson) orders to return to base are met with hostility by fur trapper John Fitzgerald (Tom Hardy) who is bound to lose a fortune and who is no fan of Glass nor his son. While foraging for food, Glass is brutally mauled by a bear defending her cubs. The scene, in its sheer brutality, realism and “how the hell did they do that” brio, is an instant classic of contemporary cinema. Fitzgerald and a young trapper are tasked to care for the badly injured Glass as Leader and his men return to camp in search of help. Both men are promised a hefty reward for staying behind and giving Glass a decent burial were he to die. Fitzgerald grows impatient and, hoping to make up for what he lost by leaving the furs behind, kills Hawk, buries Glass alive and leaves for the camp with his unwilling accomplice. Immersive has become quite an overused term when describing the illusion created by film, and more specifically 3D photography, of making the audience feel they are part of the action, of giving them a sense of a “you are there” kind of immediacy. And yet, no better word can describe the experience of watching “The Revenant”: from that first attack to the final shots of those very same Native American attackers looking down at Glass after he carries out his revenge, we enter and become part of a world and an experience unlike so many we have seen on the big screen. Emmanuel Lubezki’s gliding camera throws us right in the middle of the action and never lets us go nor leaves us behind. You could even argue that his camera is our proxy. We are no longer passive spectators: Lubetzki and Iñárritu turn us into witnesses and participants, the camera picking up on details, moments and actions that no one in the frame could be privy off but us. We feel every arrow sling, the cold water, the bone-chilling wind; we are equally mauled by that bear and we fall alongside DiCaprio and his horse down a cliff. 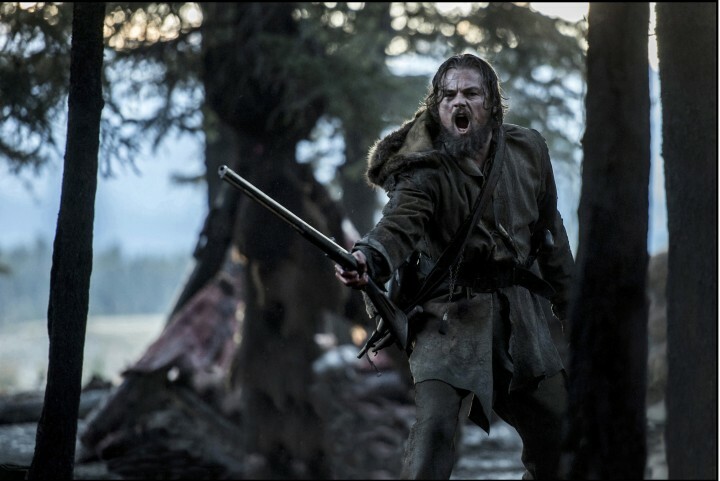 “The Revenant” may be a story about man struggling against Nature, against other men and against himself. It is also an elegy for a once-indomitable world that we are rapidly losing and for an animal in danger of extinction: the larger than life epic film that the studios shy away from these days (most of the financing came from one man: Arnon Milchan, producer of such films as “Birdman,” “12 Years a Slave” and, of all things, the Chipmunks franchise). It will leave you drained, exhausted and exhilarated. It may not provide the comfort of the new “Star Wars” film or of “Creed” or any other current commercial enterprise. But there sure as hell is nothing like it in the big screen right now. Some critics have accused Iñárritu of being a megalomaniac, of being driven by his ego. But the same thing was said of Coppola, Welles, Erich von Stroheim and many more, and their visions have proved long lasting. I suspect that of all of Iñárritu’s films, “The Revenant,” as well as “Amores Perros” and maybe even “Birdman,” will stand the test of time.